Are you throwing an event that is not a wedding reception on Grosse Isle? The island is small, but you can host a part in a variety of places. If you are not planning an event at one of the country clubs, then you might be hosting it at your private residency. Regardless, we’ve done many celebrations for families in this city. This was a smaller more informal celebration. Jake had his Grosse Isle Birthday Party and made sure to invite all his friends. 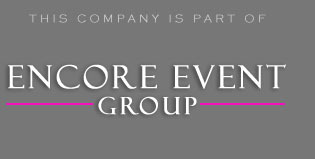 In addition, he made sure Encore was there to help with the entertainment. Jake had complete control over the music, all he had to do was drag and drop his favorite songs into an online area. We went over all the details about a week before the b-day. Our staff had a really good idea of what he wanted to happen for the party. The guests started to arrive, and we kept the music going. Before long, it was time to open the gifts. The family told everyone that they were going to donate the gifts to a local charity. It was a very nice gesture on behalf of Jake. After the presents were done, we immediately started to work in everyone’s song requests. Since this was a younger crowd, we included some fun games and dances to get everyone involved. I think I saw a parent or two joining in on the fun! One of highlights of the night was ultimate musical chairs, we lined up about 70 chairs and started the contest. It was pretty intense as people ran for the last seat available. It is a pretty crazy concept that you had to see to believe! If you’re planning a celebration on the Island, contact us to learn more about our fun options. When it comes to birthday parties, we have a variety of options to enhance your event. Besides DJ entertainment, you can also include lighting design or a Michigan photo booth rental with your package. Our services are available to make the most out of your event. No matter how big or small it is, we guarantee it will be a huge success. Take the next step towards planning a party your guests will rave about. Click our image below to get additional information on popular bundles. We look forward to taking care of your and your guests.